It's not uncommon for upright Sarracenia pitchers to fall over; wind, rain, people traffic, and the weight of their bug 'food' all contribute to this. These rings have a grid pattern, surrounding your valued plants and giving delicate pitchers the ultimate support! 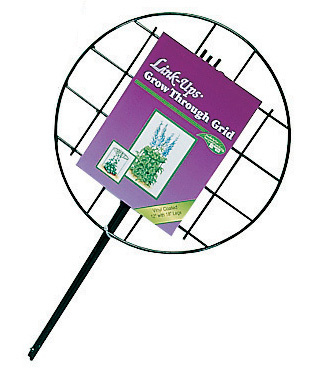 Grow-through grids are made of heavy gauge vinyl-coated wire, and are 12 inches in diameter with three 18 inch legs. A small price to pay for the satsfaction of keeping your pitchers and flowers looking new and fresh!